This Great Lakes self-unloading bulk carrier was built by Davie Shipbuilding Ltd., Lauzon, QC as their hull # 684 for the Power Corp. of Canada, Montreal, QC (Canada Steamship Lines, managers). Christened the Jean Parisien, the vessel was launched July 7, 1977. The Jean Parisien was the first of two vessels launched for Canada Steamship Lines in as many days with the Louis R. Desmarais (now CSL Laurentien) being launched at Collingwood, ON on July 8, 1977. 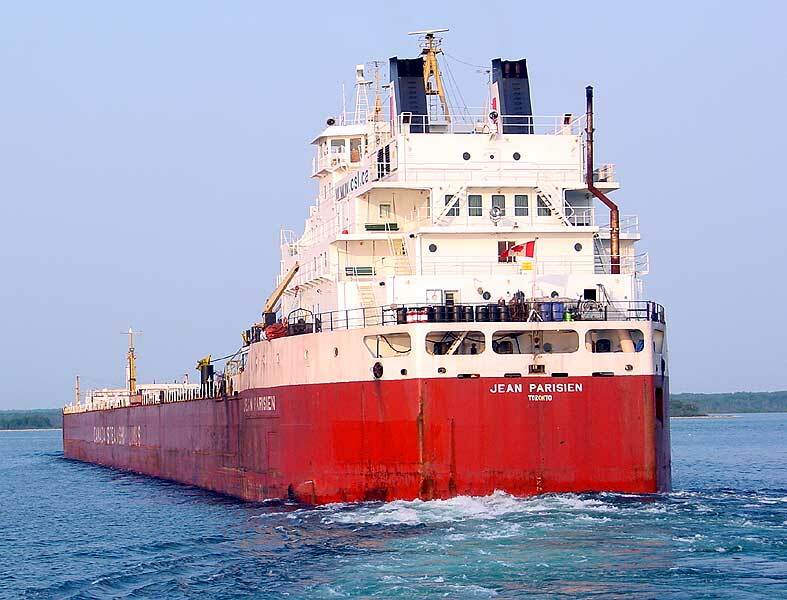 The Jean Parisien was named posthumously in honor of Mr. Jean Parisien who was the Senior Deputy Chairman of Power Corp. of Canada at the time plans were made to build this vessel. He died February 20, 1976. The vessel is powered by twin Pielstick 10PC2-2V-400 10-cylinder, four stroke cycle, single acting 4,500 b.h.p. diesel engines built by Crossley Premier Engines Ltd., Manchester, England. These engines burn intermediate grade 60 fuel and drive a single controllable pitch propeller giving the vessel a rated service speed of 15 m.p.h. She is equipped with a controllable pitch bow thruster. 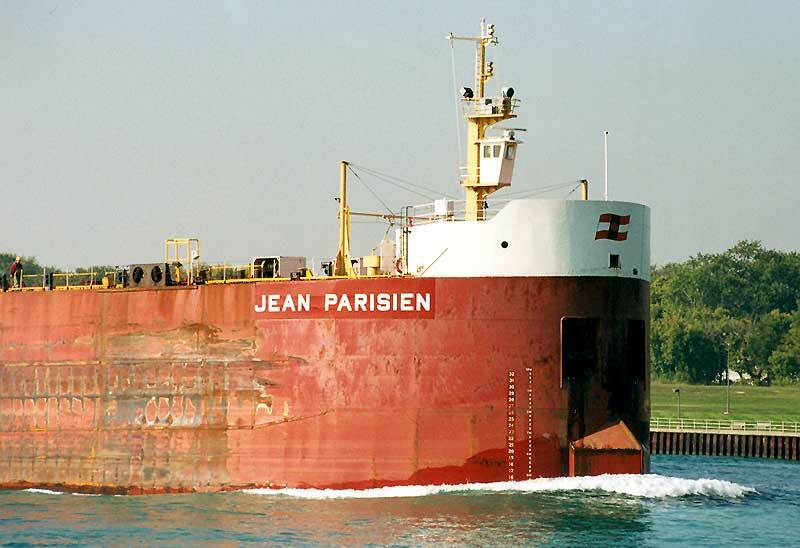 The Jean Parisien had 23 hatches servicing 5 holds where she could carry 27,890 tons (28,338 mt) at the old maximum Seaway draft of 26' 03" (8.00m), approximately 28,250 tons (28,704 mt) at the new Seaway draft of 26' 06" (8.08m) implemented in 2004, and was capable of carrying 33,860 tons (34,404 mt) at a mid-summer draft of 30' 03 5/8" (9.23m). The self-unloading system consisted of hydraulically operated cargo gates feeding three conveyor belts running to a single stern-mounted loop belt elevator leading to a 258-foot (78.64m) discharge boom that can be swung 105 degrees to port or starboard and discharge iron ore at a rate of up to 5,413 tons (5,500 mt) per hour or coal at a rate of 3,937 tons (4,000 mt) per hour. Environmental controls are achieved by the use of water spraying systems, special dust hoods, boom conveyor covers, belt scrapers, and dust extractors. 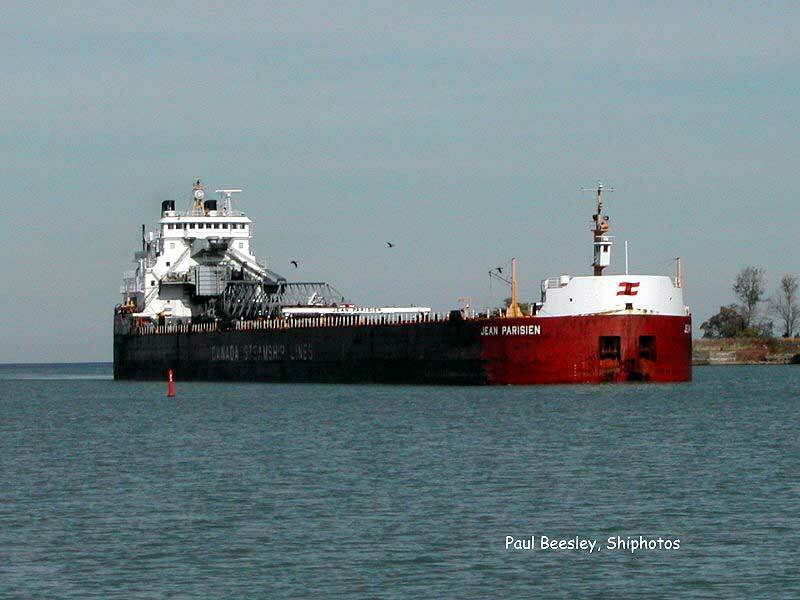 The vessel sailed on her maiden voyage December 9, 1977 light to Sandusky, OH where she loaded coal for Hamilton, ON. 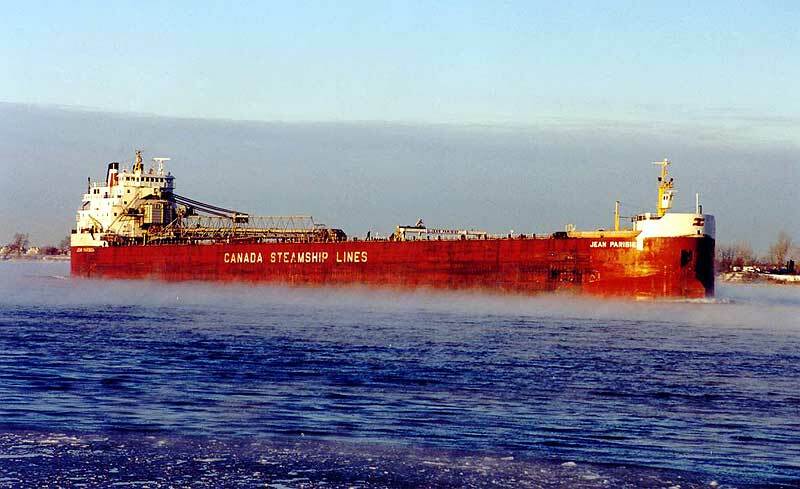 During the winter of 1978/79, the Jean Parisien had 5-ton metal fins installed at her bow running at a 45 degree angle from the 13 (3.96m) to 26 foot (7.92m) marks designed to assist with ice breaking. This work was completed by Purvis Marine Ltd., Sault Ste. Marie, ON. The Jean Parisien has been an active participant in CSL's program of discharging cargoes into large ocean going bulk carriers. 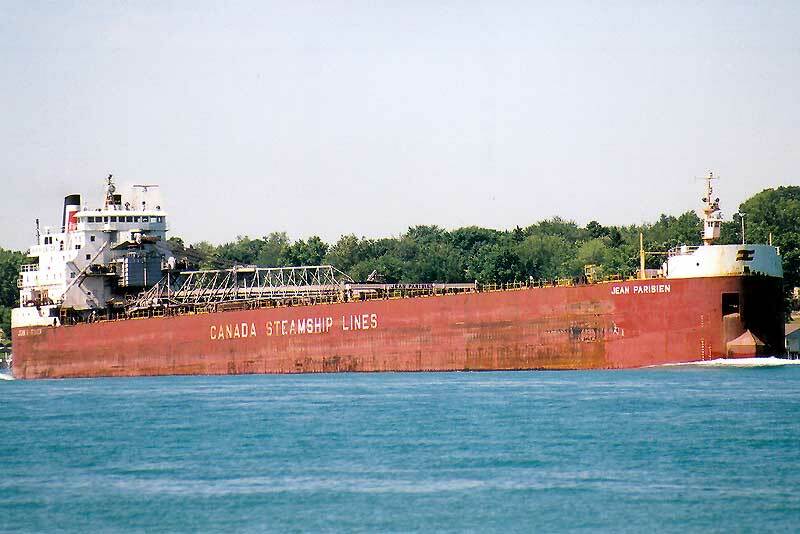 In 1981, she teamed up with five of her fleet mates (H.M. Griffith, Tadoussac, Louis R, Desmarais, Nanticoke, and Saguenay) to load 165,000 short tons of coal from Sandusky and Conneaut, OH into the ocean bulker Yemanja for delivery to Nippon Steel in Japan. This operation marked the first coal loading off Sept Isles, QC in the Gulf of St. Lawrence. 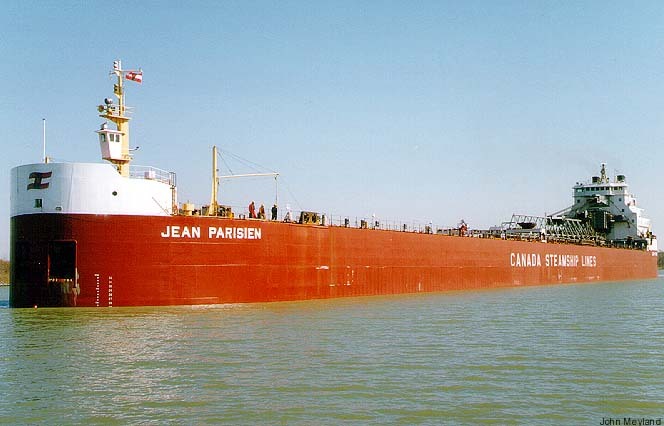 The Jean Parisien set a record for barley on September 1, 1981 by loading 1,195,770 bushels at Thunder Bay, ON for Port Cartier, QC. 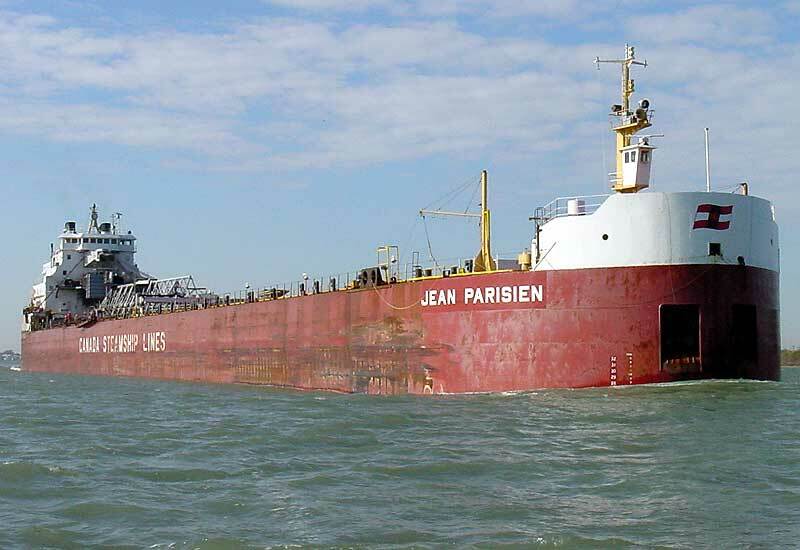 The Jean Parisien has had the distinction of opening the St. Lawrence Seaway upbound on March 30, 1993 with a load of iron ore for Hamilton; then opening the Seaway downbound on April 5, 1993 returning to the St. Lawrence in ballast. 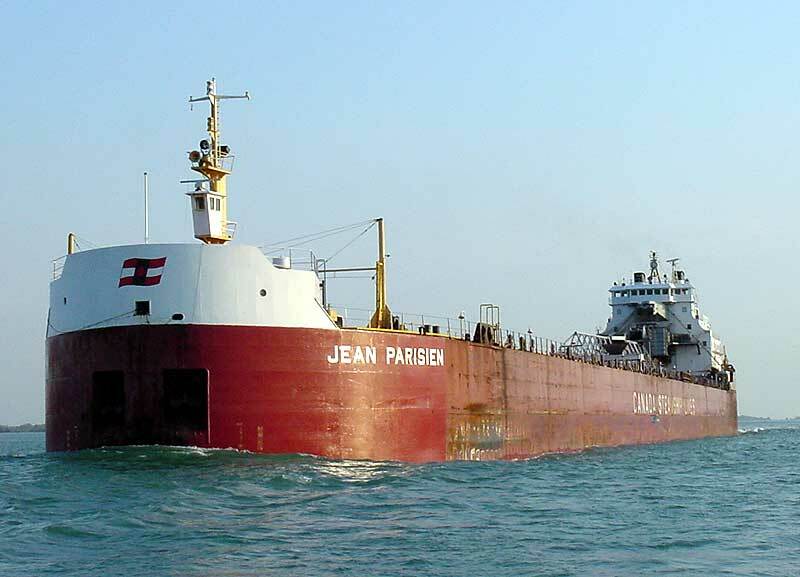 On July 11, 1994; the Jean Parisien met the 1,000-footer Edgar B. Speer at Nanticoke, ON where the Speer transferred her 61,039 tons (62,020 mt) of taconite pellets via her short shuttle boom into the holds of the Jean Parisien who, in turn, used her long discharge boom to unload the cargo into the receiving hopper on shore. 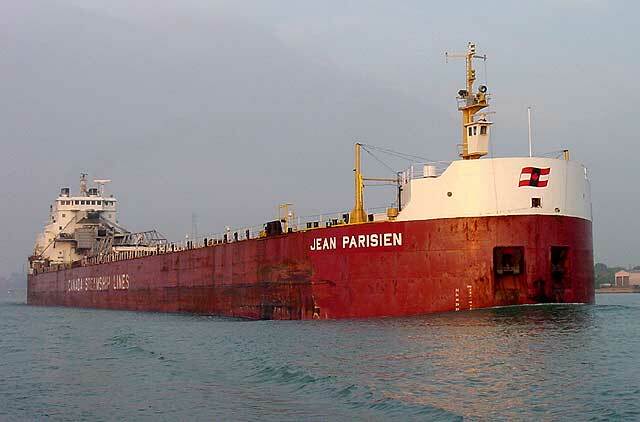 The Jean Parisien has been involved in a several incidents of note. 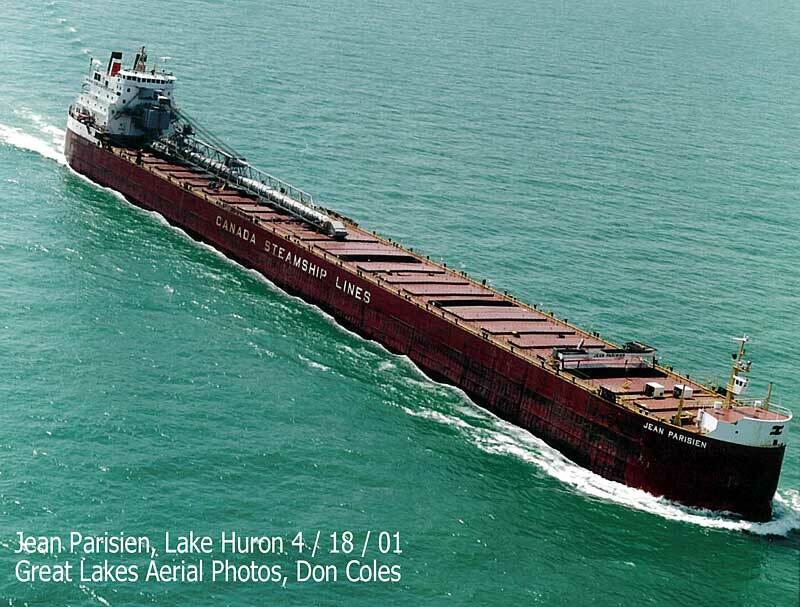 On October 10, 1981; the vessel ran aground in the St. Lawrence River near Comfort Island just west of Alexandria Bay, NY while downbound heavy with coal. The vessel's hull was holed and she developed a list blocking the shipping lanes. She was released October 12, 1981. 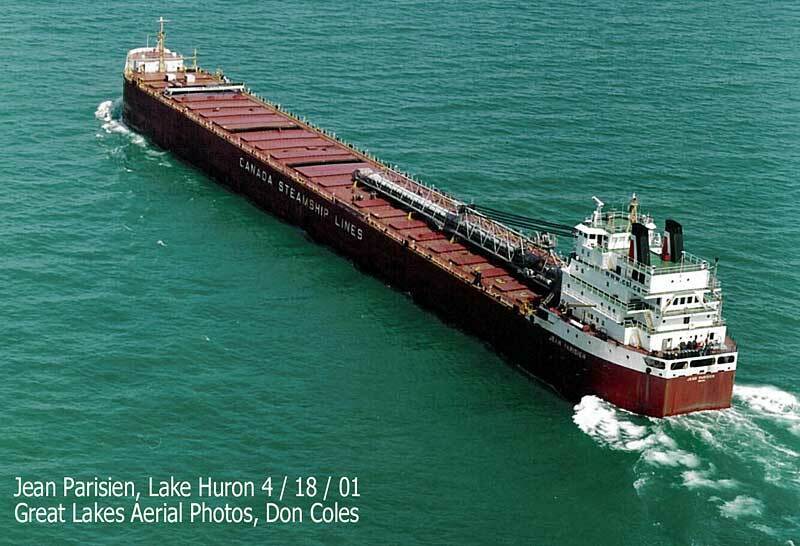 On February 3, 1996, the self-unloader was the victim of a fire while laid up at Port Colborne, ON for winter work. The fire started above the engine room destroying wiring and causing smoke damage. 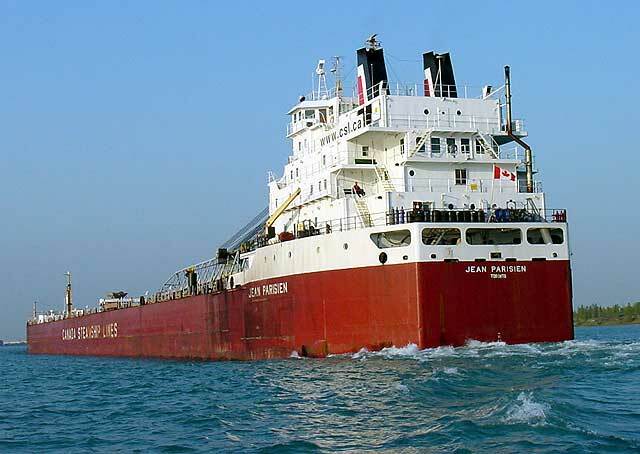 The fall of 2003 saw the Jean Parisien pulled out of active service and docked at Montreal, QC for use as a stationary topping-off vessel. Later in the year, the self unloader brought a load of iron ore to Hamilton, ON. After unloading, the Parisien proceeded to the Port Weller Dry Docks, St. Catharines, ON arriving December 14 for winter lay-up. When the vessel did not fit out for the 2004 season, it was rumored that the self-unloader was to be a candidate for a forebody replacement or scrapping pending projected economic conditions. 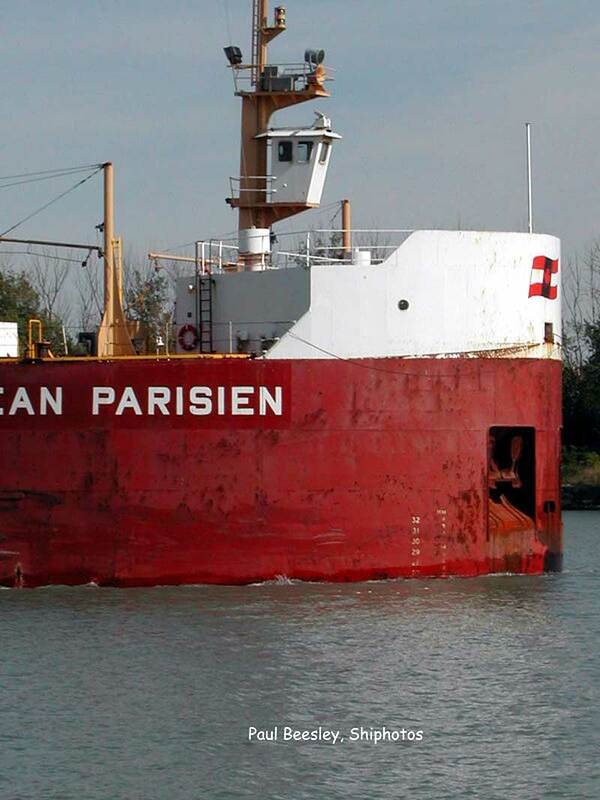 On July 16, 2004 while remaining at Port Weller Dry Docks, the markings of the Jean Parisien were painted out including her name and billboards with her stacks being painted completely black. 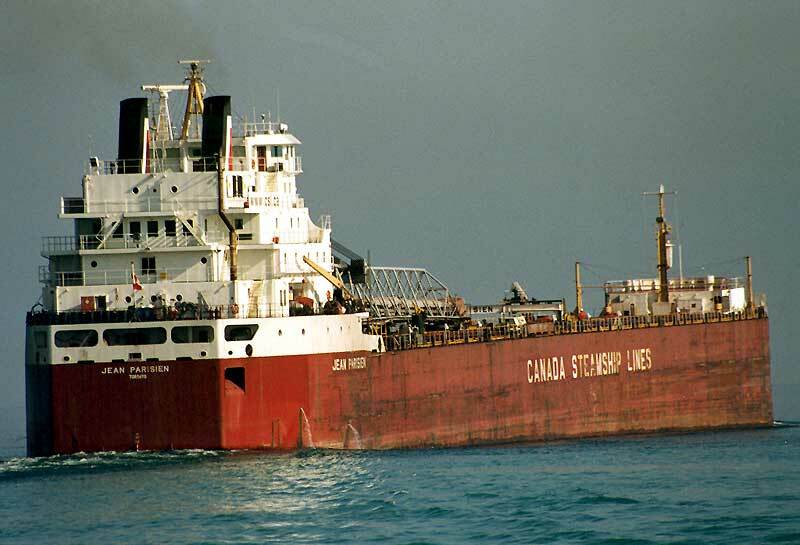 On August 24, 2004; Canada Steamship Lines announced a $30 million forebody replacement and steel renewal to be completed by Canadian Shipbuilding and Engineering (Port Weller Dry Docks), St. Catharines, ON. This was the fourth vessel of the fleet to receive a completely new Canadian built hull including "state-of-the-art environmentally friendly automated self-unloading equipment". The "new" self-unloader is 739' 10" (225.50m) in length with the new forebody extending the life of the vessel by 25 years. The new forebody is a single hold design with a single belt and 2 front-end loaders to facilitate the unloading of the vessel. Her unloading rate has remained essentially the same. This concept is a first of a kind for the CSL fleet and is similar in design to the new mid-body of Upper Lakes' self-unloader John D. Leitch The other three self-unloaders of the Canada Steamship Lines fleet having already received life extending new forebodies include the CSL Niagara, the Rt. Hon. Paul J. Martin, and the CSL Laurentien. The rebuilding started quickly with the removed old forebody going to International Marine Salvage, Port Colborne, ON for scrapping in early November of 2004. The "new" vessel is now capable of carrying up to 36,768 tons (37,358 mt) at a mid-summer draft of 30' 04" (9.25m) and 30,824 tons (31,319 mt) at the draft of 26' 06" (8.08m). 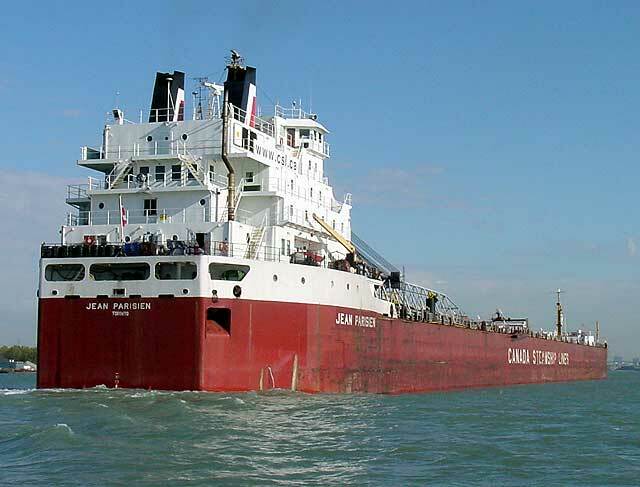 At a naming ceremony held at Niagara-on-the-Lake, ON on March 5, 2005, the name CSL Assiniboine was chosen for the newly rebuilt self-unloader once she sails later in 2005. The name honors Canada's grain producing western provinces and was submitted by the retiring manager of CSL's Winnipeg office. The Assiniboine River originates in southeastern Saskatchewan crossing the wheat-growing plains of Manitoba emptying into the Red River at Winnipeg, MB. The last Canada Steamship Lines vessel named in honor of Canada's western provinces was the Prairie Harvest, now sailing as the Atlantic Huron. 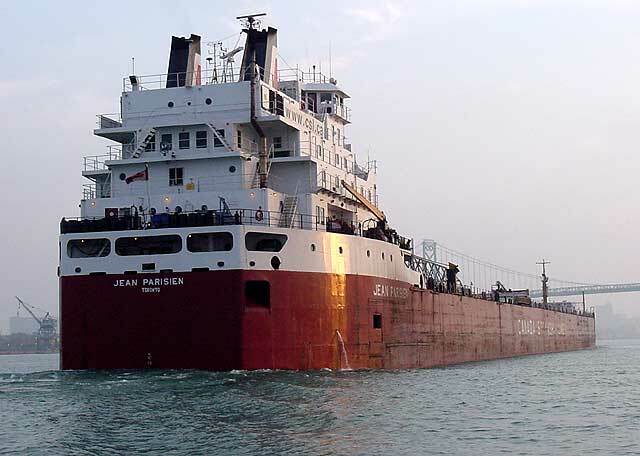 With the assistance of tugs Vac, Seahound, and Glenevis, the CSL Assiniboine emerged from the Port Weller Dry Docks on June 26, 2005 being moved to the fit-out dock. 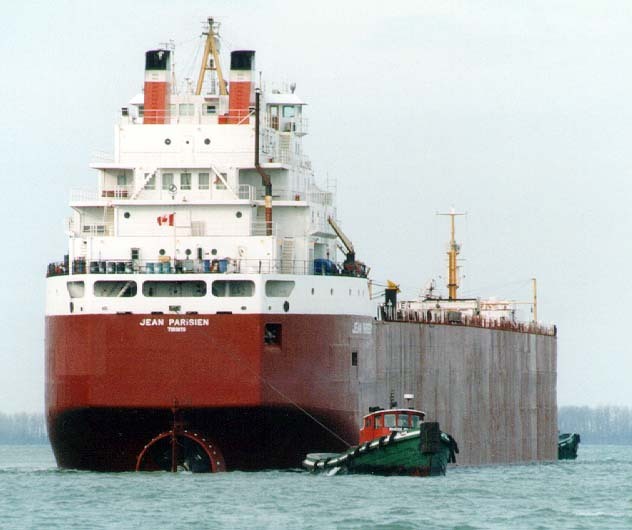 The "new" self-unloader was formally christened CSL Assiniboine at a private ceremony held at the Port Weller Dry Docks on June 29, 2005 with sea trials taking place on July 4, 2005. 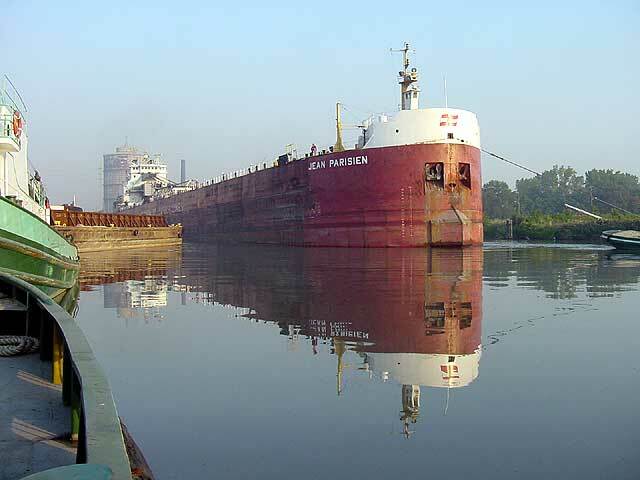 After completing her sea trials, the self-unloader departed the Port Weller Dry Docks on her maiden voyage July 5, 2005 upbound in the Welland Canal bound for the Burlington Northern docks at Superior, WI to load taconite for Hamilton, ON. The CSL Assiniboine departed Superior on July 9 with what is believed to be a Canadian fleet cargo record from Burlington Northern of 29,715 tons (30,192 mt) of taconite pellets. 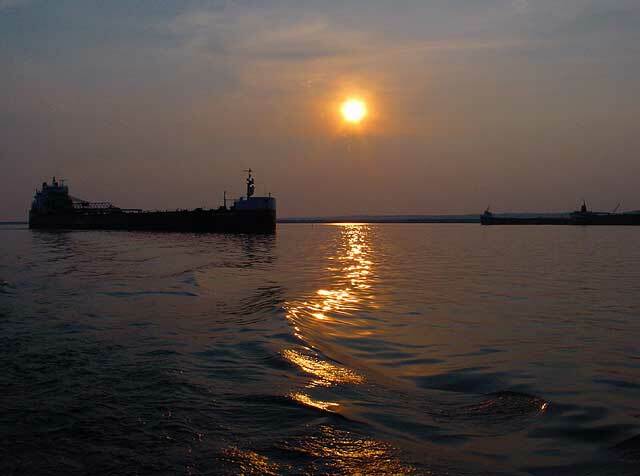 On March 22, 2006, the self-unloader opened the Port of Hamilton delivering a load of coal from Sandusky, OH to Stelco. Upbound on the St. Clair River. Being passed by the Capt. Henry Jackman. Downbound the Welland Canal June 7, 2006. Stern view with assisting tugs Vac (port) & Seahound (starboard). Stern view. St. Marys River.